Your opinion matters. Leave A Review Or Edit This Listing for Los Fresnos Community Food Pantry. 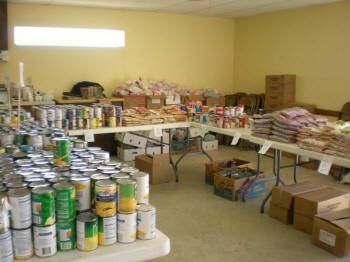 Our congregation supports the Los Fresnos Community Food Pantry which was founded in 1998 as an assistance-type food program. In 2005, when Outreach International partnered with us, the pantry beneficiaries began to take a more active part. Now pantry clients manage the ordering and distribution of the food. They have a chance to help others, build confidence and gain leadership experience. The Los Fresnos Community of Christ continues to support the food pantry with volunteers, finance assistance, and its own building dedicated to the pantry and its clients. If you are interested in supporting the Los Fresnos Community Food Pantry or would like further information, please call. We always need more information on our pantries. If you know of any details, volunteer information, website, hours or more description information about Los Fresnos Community Food Pantry please add a comment (below the map on this page), with information. We will then display this for all visitors on this page.